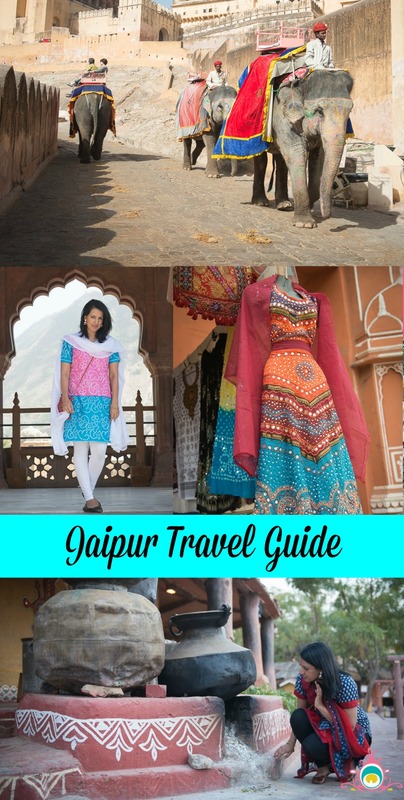 When we started planning our India trip at the end of last year, the city I was most excited to visit was Jaipur. 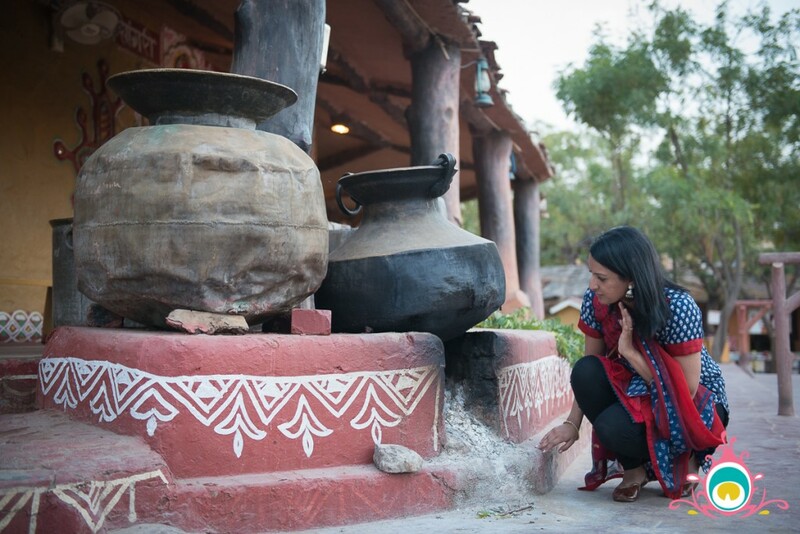 I’ve always been intrigued by Rajasthan. The folk music, the outfits, the jewelry, and the bandhini print (I love it so much my entire wedding lehenga was bandhini), but more than anything, I’ve felt drawn to the architecture. 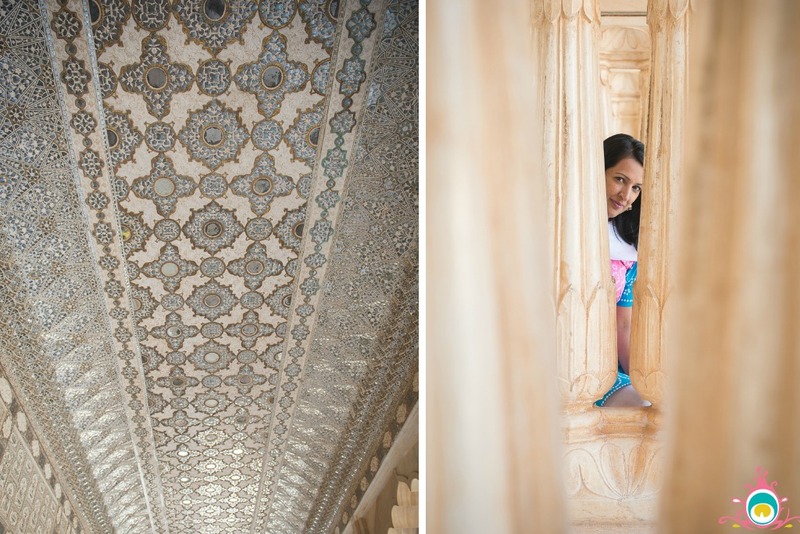 Those beautiful mahals (palaces) that always caught my eye in Bollywood films and travel photographs – they’ve been calling my name for years. 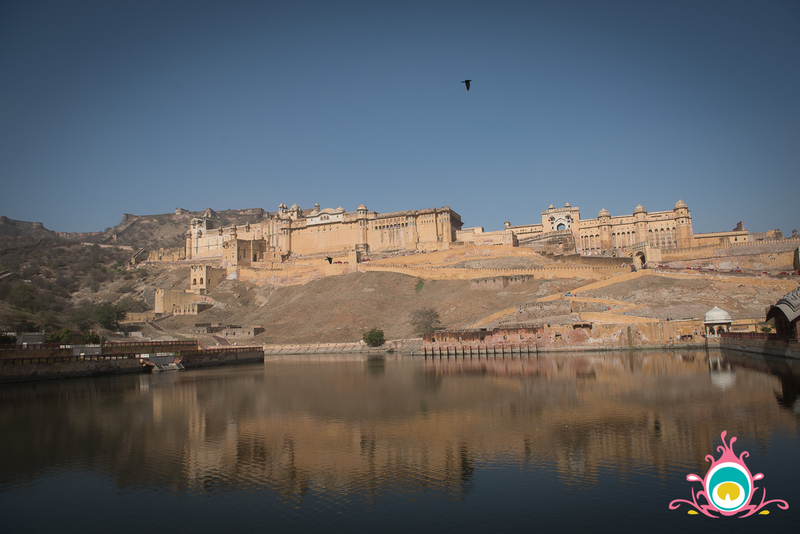 You could probably see Jaipur in one day, but if it’s your first visit, I would say try to book at least 2 days here. We spent a day and half, and I sort of wish we had another half a day to shop! PS: In case you missed it, we arrived in Jaipur after visiting Amritsar & Agra, you can catch up on those cities first if you like! I have to give a shout out to our most amazing hotel The Fern. It was such a great place; the food was delicious, and the staff was super helpful. I would definitely stay again! 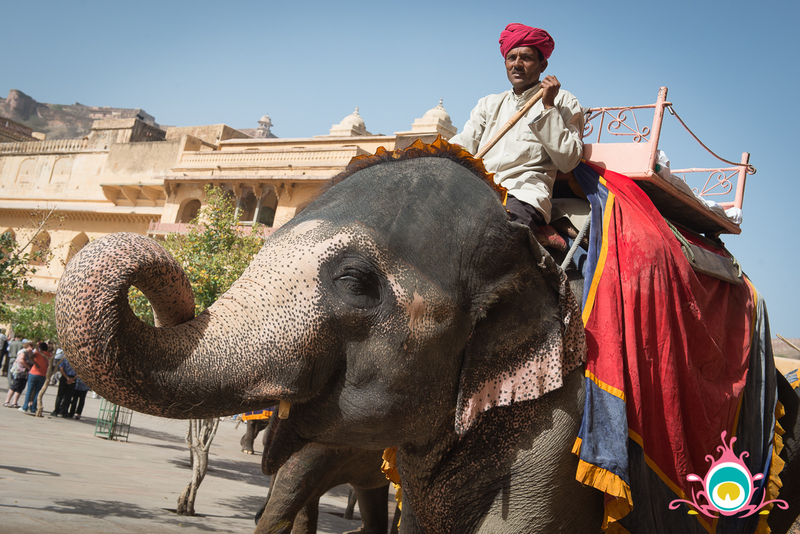 You can choose to take an elephant ride to the top of the fort, but we opted to make the trek up the stairs by foot. We also skipped out on a tour guide and decided to wander around on our own. For me it was just one of those places you really had to experience on your own time. There is so much detail and design to take in, and it’s a huge place, so give yourself a good two hours to really see it all. 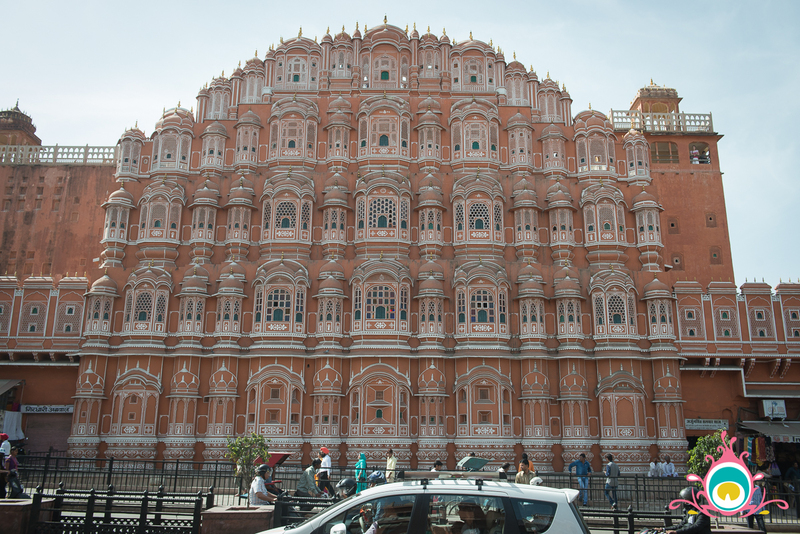 I’m combining the famous wind palace with shopping, because I didn’t actually go inside Hawa Mahal (all ‘mahaled’ out at that point – which is why I think two full days in Jaipur would have been a good idea), but thought the shopping options around Hawa Mahal were awesome! This little known area is loud! Pannigars are a sect of Jaipuri tradesmen that specialize in making chandi ka wark (that lovely silver foil that adorns sweets and paan). 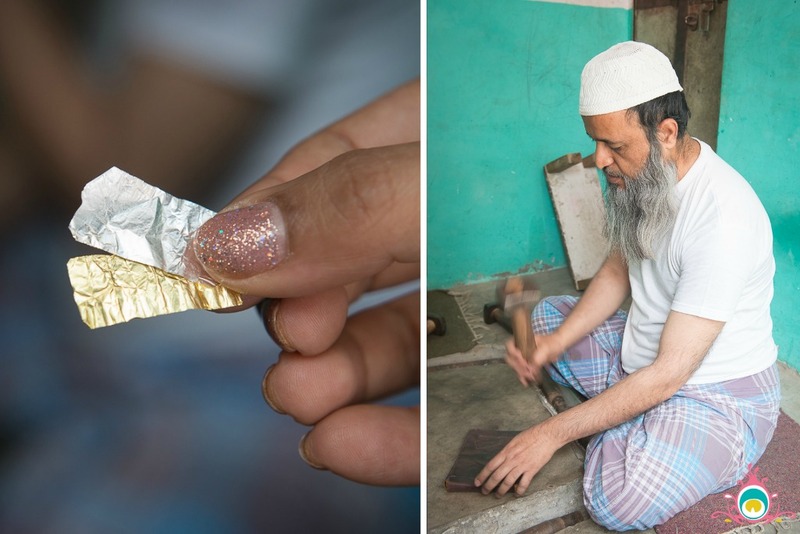 These men spend their entire day pounding out pieces of real silver and gold until it becomes so thin it can be spread on sweets and delicacies. The sound is obnoxious, and it’s unbelievable that they work with it every single day, yet they take so much pride in their work. This isn’t the kind of stop you’ll hear about on most travel guides. In fact, locals were extremely surprised that we actually wanted to find this place! But, it is a really unique experience to go and talk to these people. 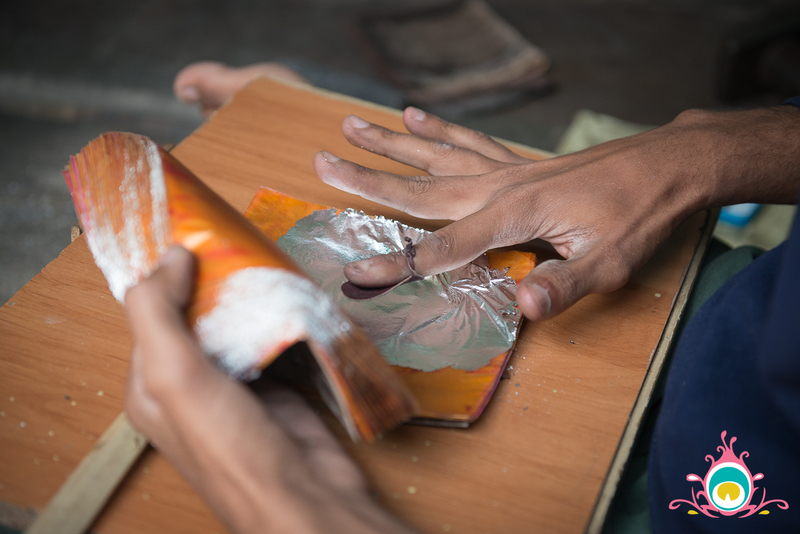 This is a skill that has been passed down from generation to generation and is in danger of dying out because of machine made vark, like so many other Indian trades. I’ve written in depth about the Chokhi Dani experience here, and it really is a must visit in Jaipur. 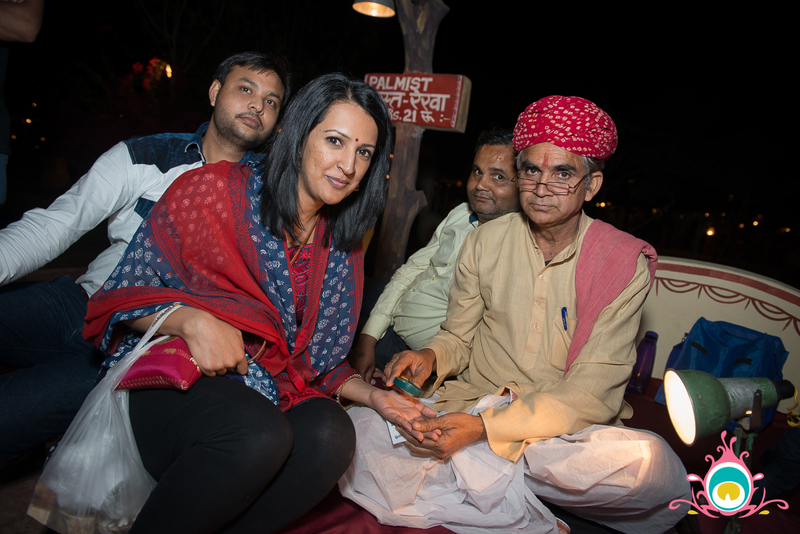 It’s a mock Rajasthani village with an amazing dinner, live performances, and craft bazaar. It was definitely in my top 5 places in India and I would go again. I wish I had food recommendations for Jaipur, but we were just recovering from feeling sick in Agra and really played it safe. The food at our hotel The Fern was amazing, so we stuck to breakfasts there, and even had lunch there one afternoon. We also loved the dinner at Chokhi Dani, and had some really good dessert and coffee at a place called the The Chocolate Room inside the World Trade Mall. 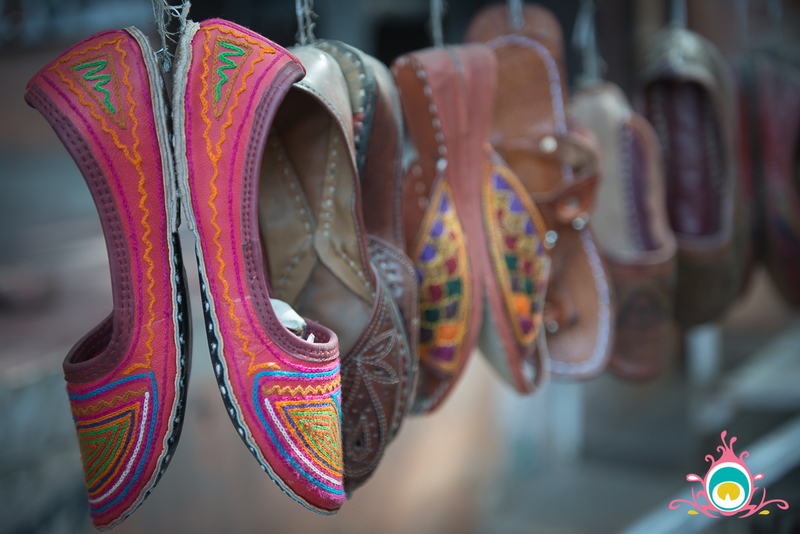 If I only had 24 hours in Jaipur, I would visit Amer Fort, do some shopping in the city centre, and then spend my evening at Chokhi Dani. 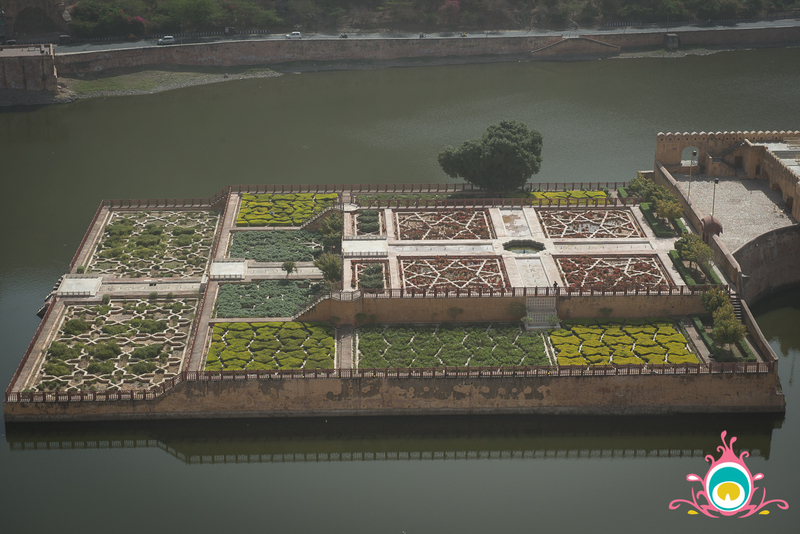 If we’d had one more day, I would have liked to visit Jantar Mantar, and maybe do some more shopping, but all in all, Jaipur was an amazing experience, and I’d love to visit again. PS: You can also read about Where to Eat in Amritsar, and my experience at the Taj Mahal here. Amazing pictures. really great shots, and looks like you had a lot of fun. Jaipur is amazing. 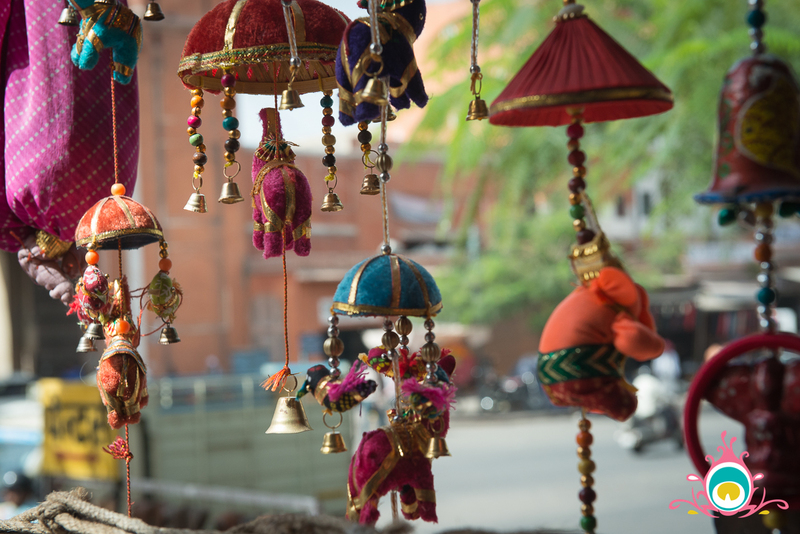 I loved our time in Jaipur. Here is my trip. This post belongs in a travel magazine. You captured the heart, looks, sounds, and tastes of the city so well. Love all your travel photos and looks like a trip of a life time! 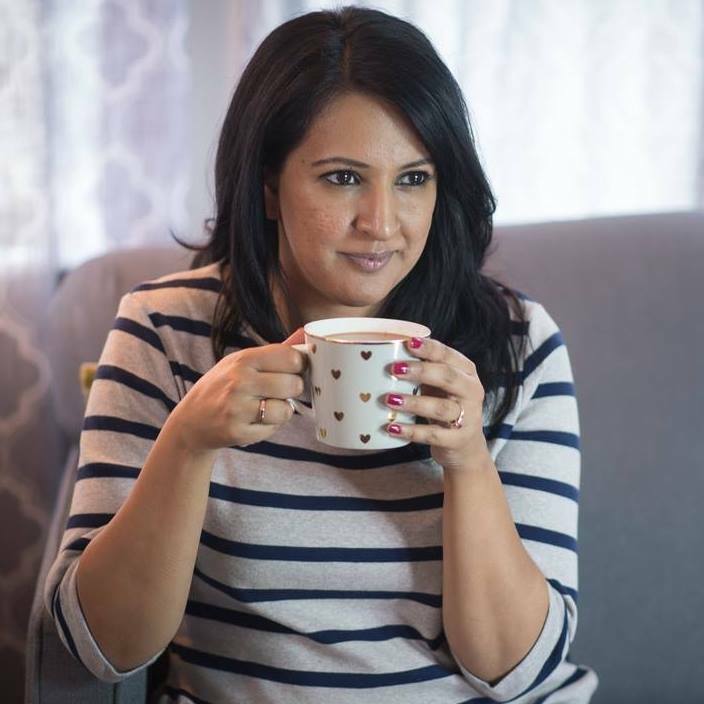 Thanks Kamana – it really was an amazing trip! Looks amazing. I really wanna visit Jaipur someday. 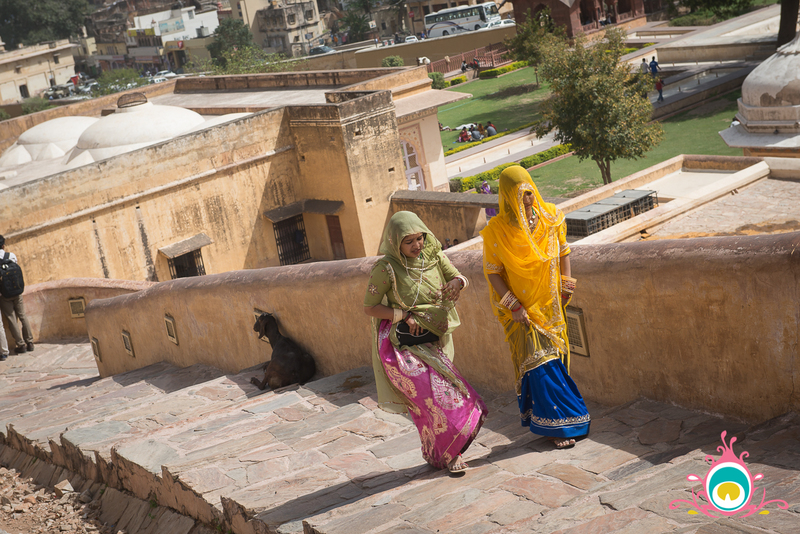 When we visit India, we usually just end up hanging out with family, and it’s sad not seeing other places. Really good post.